This bright green side dish is a recipe I made often in the early years of my marriage after stumbling upon Ina Garten’s very first cookbook. While she used olive oil in a similar preparation, avocado oil works beautifully here because of its extremely high smoke point. 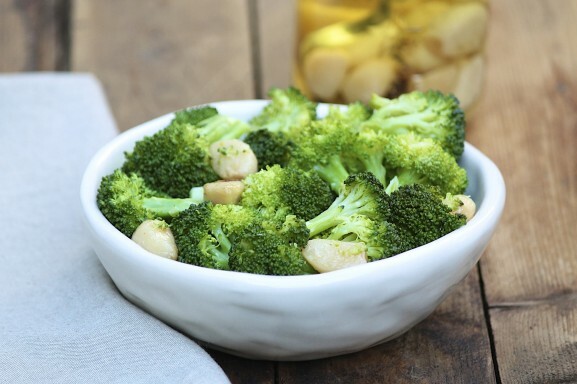 It’s a simple yet delicious way to dress up broccoli and can be served hot or at room temperature. If you are a garlic fan like I am, you will find many more ways to enjoy the leftover fried cloves as well as the oil. The next time I make spaghetti, I will be sure to share a family favorite! Use these flavorful golden brown garlic cloves as you would roasted garlic, and enjoy the oil just as you would your favorite oils. 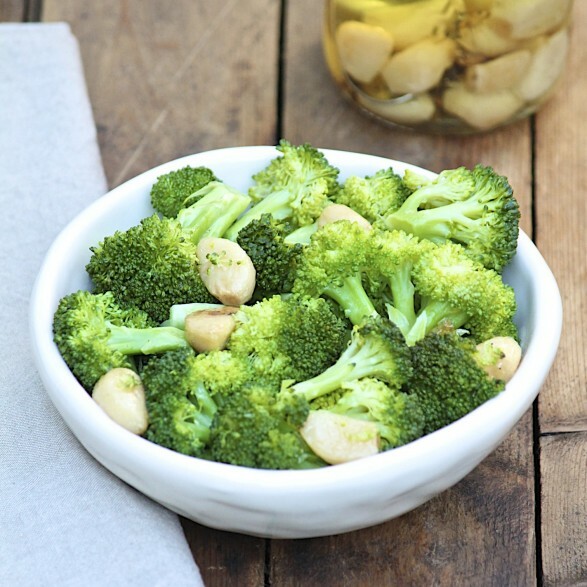 The hint of garlic adds extra flavor to dressings, cooked vegetables, and more. It is also perfect for dipping a baguette or crusty rolls and adds something special to simple steamed broccoli. The garlic may be prepared ahead of time and stored in the refrigerator for several days. Bring a pot of water to a boil, and then add the broccoli. Cook for 2-3 minutes or until crisp-tender. Drain and immediately plunge into a bowl of cold water. This will stop the cooking process and retain the broccoli’s bright green color. Drain well. Toss the broccoli with the fried garlic and the oil. Add a light sprinkling of salt and pepper. Serve warm or at room temperature. This recipe may be prepared ahead and refrigerated. 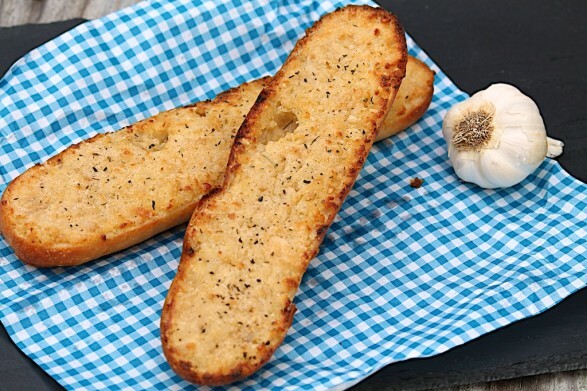 Fried Garlic makes the most amazing Parmesan Garlic Bread, too. Glad to see this recipe! I have been making this for years. So simple yet so delicious.